Client can send Unlimited SMS per day(Based on the package purchased) in Bulk to mobile users anywhere in India & Abroad using PixelWorks Web Design Bulk SMS service Platform, No need to purchase any software. Only SMS Credits/Balance needs to be purchased. PixelWorks Web Design completely follows the TRAI guidelines to protect the interests of the client and the end mobile recipient. We also offer Bulk SMS Services in various major cities of India like Bulk SMS Service in Ahmedabad,Bhavnagar,Surat,Rajkot,Bangalore, Delhi,Mumbai(Bombay). 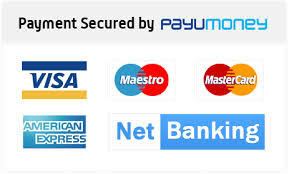 Secure online purchasing for all major Net-banking and credit cards. Option also available for payment through DD/Chqeque.